What is human nature? Sartre says that there isn't one, but there is a universal human condition, which is our absolute freedom. This freedom is a basic certainty in our experience, and it comes out of the mere fact of our being able to will, so no subsequent alleged science can contradict it. 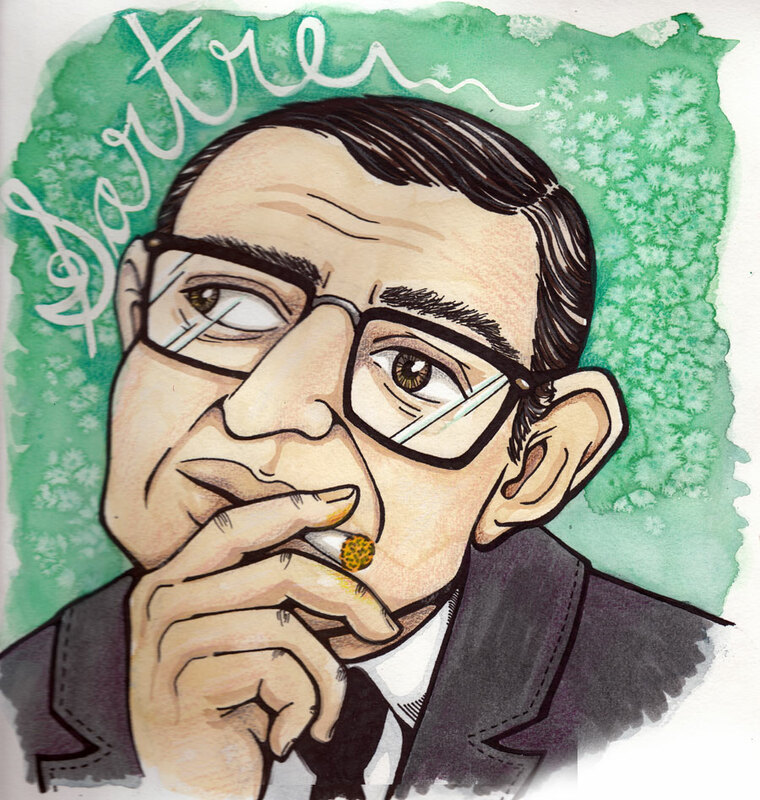 If you claim to be determined by your character or circumstances, you're acting in "bad faith," which is what for Sartre has to serve as an ethics given the lack of good and evil floating out there in the world or duties assigned to us by nature or God or any of that. He describes his project as a matter of teasing out the often unrealized implications atheism. Though his reading is rife with fun, literary examples, we (the regular foursome) had trouble both with this insistence on absolute freedom in all circumstances and on on this claim about no human nature which ends up making bad faith seemingly inevitable: you can't be "authentic" to your "true self" because there is no true self to be authentic to! So ha! Read more about the topic and get the texts. Listen to Mark's introduction and our read-through of "No Exit." End song: "Minnesota Freak" by Mark Lint and the Fake (2000). Read about it. Love what you guys are doing. Addicted to the podcast. A quick comment: So, in general I like it better when you guys present the content of the philosophy before getting bogged down in criticisms; having a more or less completed image of what the philosopher is communicating makes it easier to keep up with the criticisms, but criticizing a concept used by a philosopher without first sketching out the sense in which the philosopher means it makes it difficult to grasp whats going on … At least for a noob like me. It could just be me and my not so well developed philosophical aptitude, in which case, just ignore me. Once again, you guys are awesome, and thank you for what you do.